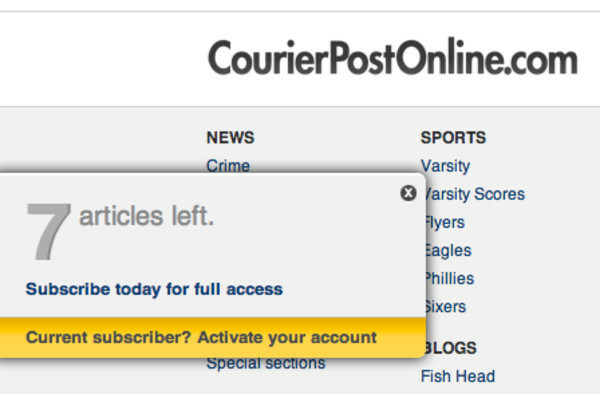 “South Jersey’s Newspaper,” the Courier-Post, has quietly instituted a paywall on its site while simultaneously raising subscription rates. The cost to view content online is $120 per year, although users are able to view several articles for free each month before running into the paywall. The cost for a seven-day-per-week subscription has increased from $200.88 per year to $252 per year. An online subscription is automatically rolled into the print subscription under the new paywall plan. There is no print-only option. The Courier is one of the last Gannett newspapers to institute the paywall this year. At most other Gannett sites, the change was announced with a column from the publisher or other top manager at the site. Disclaimer: I, Mark Correa, the individual who runs the Barrington Bulletin, ran the Courier-Post website as the New Media Editor for much of 2006-2011. 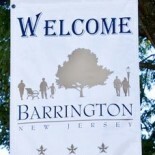 This entry was posted on November 26, 2012 by Barrington Bulletin in Region and tagged media.